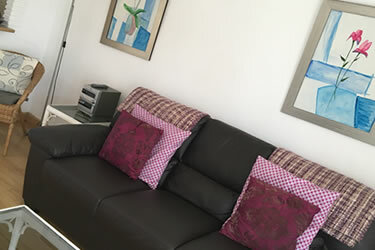 This fully equipped self catering 1 bedroom Benalmadena apartment with twin terraces, is only meters away from the beach, shops and the marina in the heart of Benalmadena Costa, Spain. With discount flights from all major airports to Malaga and a short 15 minute drive, taxi or train ride from the airport. 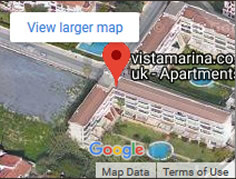 This lovely, clean privately owned Vista Marina apartment is available to rent throughout the year with on line bookings and secure payments. You can look forward to a well earned break... a base to explore this lovely area. Benalmadena Costa is located 16KM to the west of Malaga on the south coast of Spain. An all year round warm climate and a coastline that offers many attractions. Vista Marina Apartment block is situated 120m from the beach on the border of Torremolinos / Benalmadena Costa. 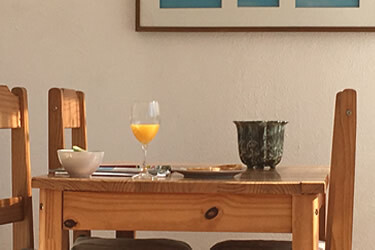 This private apartment is in a small delightful complex, with balcony facing the beautiful gardens and swimming pool and only 250 m from the fantastic Benalmadena Puerto marina. There are numerous bars and restaurants within easy reach of the complex. 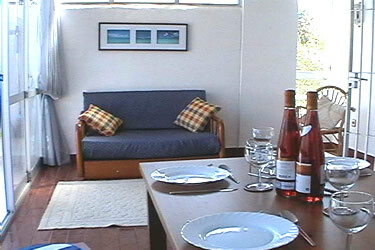 This apartment is ideal for couples or small families. With its fully equipped kitchen and bed settee in the lounge or conservatory. The bedroom has a double bed, fitted wardrobes and with en-suite bathroom. The apartment to rent has Air con, television, DVD, CD, radio. Linen is provided. Benalmadena Costa, with a 9 km beach and 2 km promenade and has managed to maintain an excellent family holiday environment. Because of its beautiful marina, this is one of the busiest tourist areas, with beautiful beaches and an abundance of bars and restaurants that cater for all tastes. The Puerto Marina is definitely the place to go for "party goers". Popular with the locals, the marina also draws the many thousands of tourists with its cosmopolitan atmosphere.